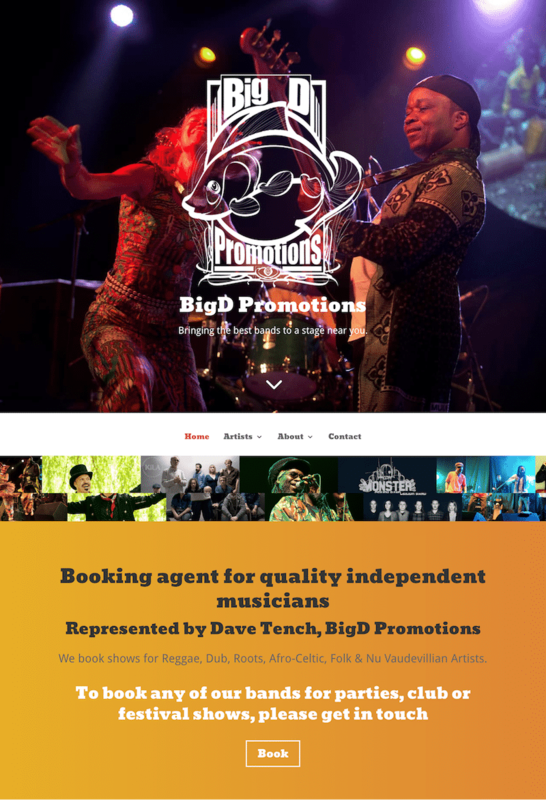 BigD Promotions is an independent booking agent that specialises in Reggae, Dub, Roots, Afro-Celtic and Folk artists. Brief: to design a brand new website to replace old, static html site. The new site had to showcase the promoter as well as his artists, with audio and video links and bold graphics throughout. 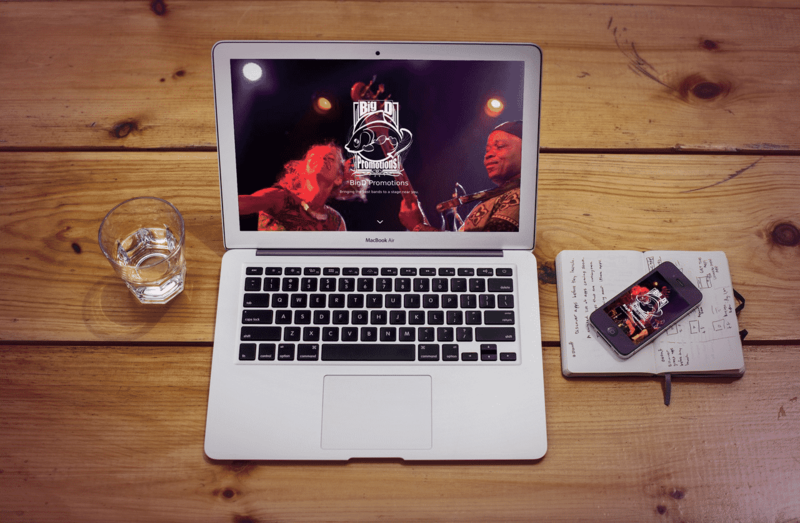 Importantly, the site also had to be mobile-friendly and easily found on google by anybody looking to book a new act for their venue or event. It also had to be easily updated, to add new artists. Get in touch to discuss your new website and how to get your business found! It costs less than you think!